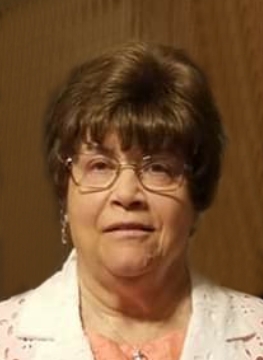 Mary Lou Hawkins, age 71, of Shelby died Sunday afternoon January 20, 2019 at Ohio Health Mansfield. Born December 17, 1947 in Elkhorn City, Kentucky to Tilden & Lorene (Nixon) Ratliff, she has been a Shelby resident since 1968. Mary Lou attended Elkhorn City High School and worked at MTD retiring in 1998 and then worked at Sam's Club until 2008. She attended Liberty Baptist Church and Core Community Church. Mary Lou enjoyed reading her Bible, going shopping and above all she loved spending time with her children, grandchildren and great grandchildren. She is survived by her husband, Arvin "Big Arv" Hawkins, whom she married August 4, 1965; her four children, Tina (John) Thompson and Randy (Cyndi) Hawkins both of Shelby, Steve (Terri) Hawkins of New Washington and Brian (Ken Keener) Hawkins of Galion; eight grandchildren, Jeremy (Marisa) Hawkins, Brandon (Amber) Hawkins, Roger (Rachel) Hawkins, Ashley Hawkins, Andy Hawkins, Katelyn Hawkins, Hannah Hawkins and Becca Hawkins; 9 great grandchildren; two sisters, Sharon Kay Bartley and Terri (Roger) Elswick of Elkhorn City, KY; three brothers, Ronald (Brenda) Ratliff of Elkhorn City, KY, Michael (Legena) Ratliff and Jerry (Nikki) Ratliff of Paintsville, KY.
She was preceded in death by her parents; three sisters, Geneva Cantrell, Marie Feldpusch and Betty Jo Toney; brother, Buck Ratliff and two infant sisters. Friends may call at the Barkdull Funeral Home & Crematory in Shelby on Wednesday, January 23, 2019 from 4-6 PM. The funeral service will be held 1:00 PM Thursday at the funeral home, conducted by Rev. Kevin Evans. Interment will be held in Crawford County Memory Gardens. Memorial expressions may be made to the Shelby Helpline Ministries at 29 Walnut St., Shelby OH 44875.